PROVIDENCE, R.I. — The Providence Grays vintage base ball club is set to open its 47-game 2019 schedule this Saturday, April 13, hosting the newly-minted Boston Union BBC at Milot Field in Rehoboth for a pair of matches, as both sides kick off this year’s campaign playing by the rules of 1884 and 1864. First pitch is 11 a.m. In 2018, Providence finished with their second-highest win total ever, going 25-12 and earning just the third 20-win season in club history. They put together four separate win streaks of at least three games, most notably six-straight triumphs from late May to early June. 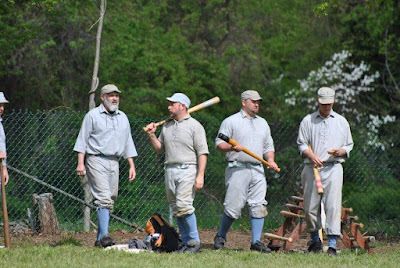 Following Saturday’s season opener, Providence travels to the Smithtown (N.Y.) Historical Society to play in the 2019 Atlantic Festival, taking on the Lisbon Tunnelmen, Mountain Athletic Club, Talbot Fairplays, and Brooklyn Eckfords over a two-day span (April 27-28). Next up are two road dates, first at the Hingham Coopers (May 11), then a continuation of the season series with Boston Union (May 19), and finally a round robin with the Boston Beaneaters and Westerly Quarrymen in Westerly, Rhode Island, on June 2. 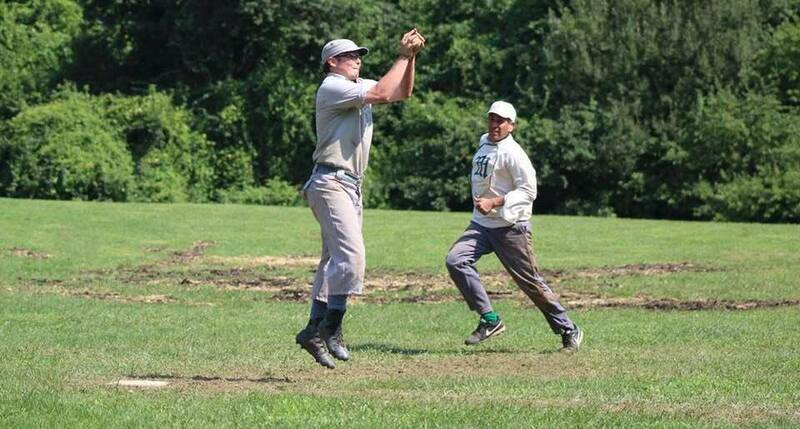 The following weekend is Old Dutch Day (June 8) as the Grays return to Smithtown for a doubleheader with the Atlantic BBC of Brooklyn. The next stretch features many prominent outings, including the Bristol Fourth of July Committee Event (June 15) on the Bristol Town Common featuring another twin-bill against the Atlantic. The Grays then head to the Weekend at the Winery in Rising Sun, Maryland, on June 22-23 with opponents to-be-determined. A month later, and after facing off against the Mudville BBC on July 13, Providence takes their talents to the tenth annual Gettysburg National 19C Base Ball Festival battling the Moscow Monarchs of Ohio, Allegheny Ironsides, Talbot Fairplays, and Gettysburg Generals. To conclude July, Providence plays an exhibition with the Connecticut Bulldogs at Dunkin’ Donuts Park in Hartford before the Hartford Yard Goats (Rockies’ AA affiliate) host the Akron RubberDucks (July 28). 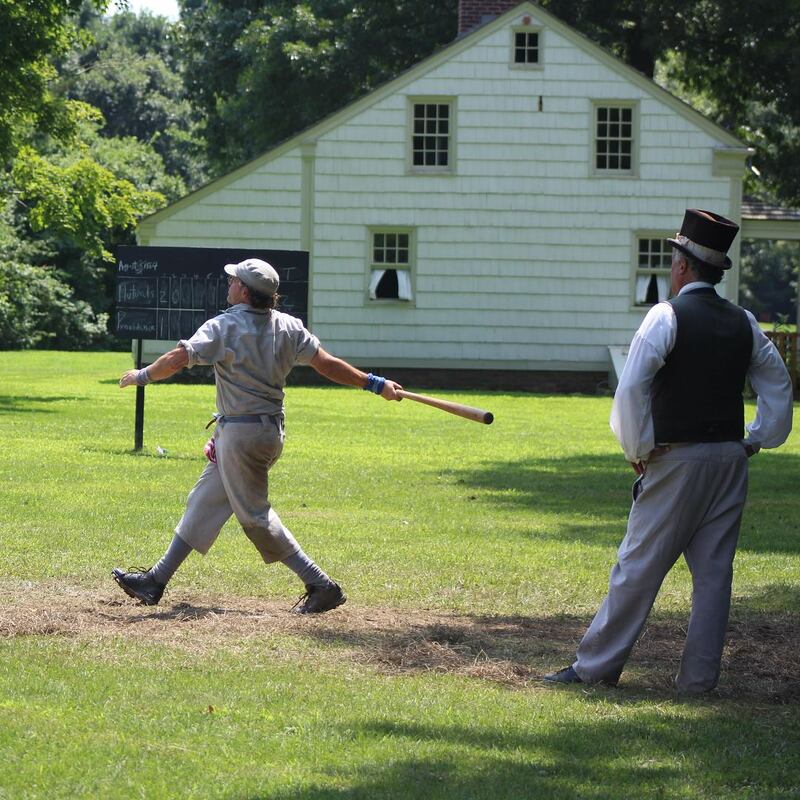 The Grays’ first action in August comes at the Doc Adams Base Ball Festival (Aug. 3-4) at Old Bethpage Village Restoration, followed by the inaugural Providence Grays Festival at Rocky Point Park on August 17. 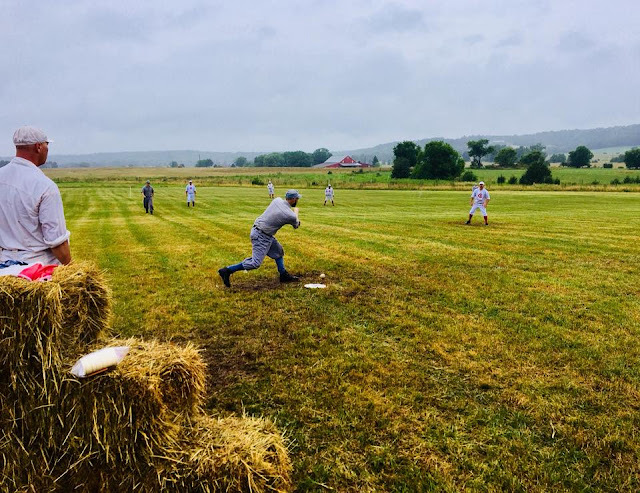 From there, the Grays have an away showdown against Dirigo Base Ball Club in Biddeford, Maine, and wrap up 2019 finishing the season series with the Beaneaters (Sep. 7), Union (Sep. 14), Coopers (Oct. 5), and Bulldogs (Oct. 6), with a doubleheader against the New York Mutuals during the Long Island Fair in the mix (Sep. 28). Providence will finish the series with the Atlantic at the traditional season finale on the Salem (Mass.) Town Common, playing two 1864 contests on October 20. Check out the 2019 schedule for more details, and be sure to follow the Grays Facebook page for updates, previews, and recaps throughout the season.